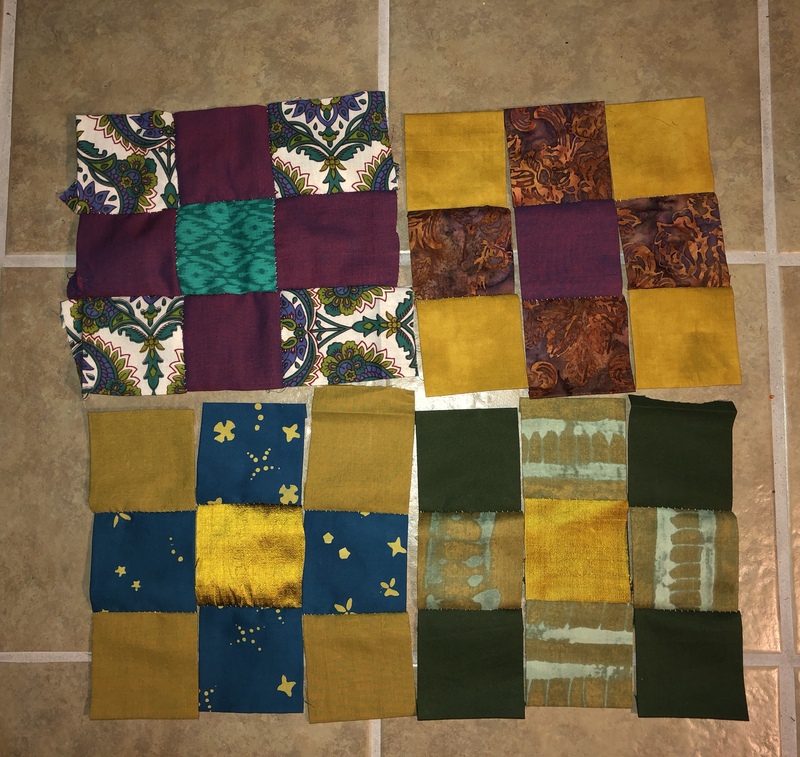 Making a few nine patch squares today. I cut these out months ago and just yesterday ironed them to prepare for stitching by hand. Not sure of their final destination – either a throw to cover the couch or pillow covers.